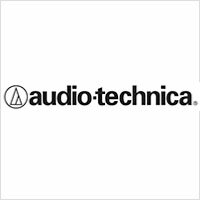 Created in 1962, Audio-Technica is one of the foremost Japanese audio equipment companies that manufacture professional wired/wireless microphones and headphones, magnetic cartridges for turntables as well as other assorted audio equipment. They are the suppliers of all microphones for the GRAMMY Awards for a decade or so now, with no real competitor in this segment that delivers as much quality as it does. They have a number of operating companies across Europe, Hong Kong and Singapore. The company has won numerous awards in the industry and have set the bar for the price/performance ratio for live sound, studio equipment as well as prosumer usage across the world. In addition to the GRAMMY Awards, the US House of Representatives use A-T microphonics, and the induction to the Rock n Roll Hall of Fame is also entrusted to the trusty microphones made by Audio-Technica. In addition to supplying its own brand, A-T also is an Original Equipment Manufacturer (OEM) for a variety of clients throughout the Western World, providing optical sensors, audio transducers as well as other specialty devices. They are credited with the creation of the world’s first (and probably only!) portable LP record player in the early 1980s. It sold quite well, but was quickly surpassed by other inventions like the compact disc. 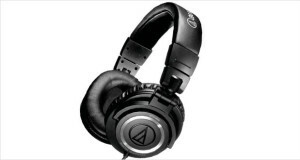 Audio-Technica is renowned for its excellent consumer headphones as well – they deliver unsurpassed audio quality without any fancy frills and looks. The asking price for most of their monitors is also not exceptionally high making them ideal for budding enthusiasts looking for a great listening experience. 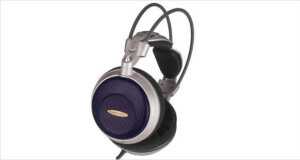 In 1978 the ATH-7 and ATH-8 condenser headphones won the prestigious MITI Good Design Award and brought them into the forefront of Western audio enthusiasts’ perspective. Since then until now they have won numerous awards for being technologically advanced – such as making the first condenser microphone, the AT3060, that worked solely on 48V DC phantom power (power derived from the microphone cable itself to drive the internal electronics) making it easy to set up anywhere. 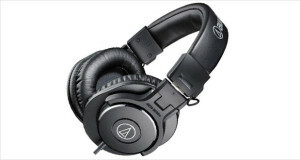 Audio-Technica products were used to cover broadcasts and other supporting services during the Beijing, Athens, Sydney, Vancouver, Torino and other Olympic Games as well as World Cup Soccer, Super Bowl and the Commonwealth Games. The company has thus cemented its presence in the world market, being one of the oldest and finest manufacturers of audio equipment. The Audio-Technica ATH M50 studio monitor headphones are one of the best studio monitors that one can get at the asking price. 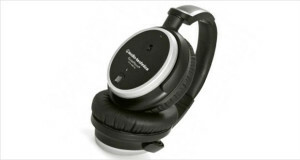 These ‘phones have an excellent frequency response across all the dynamic ranges without deviating from the neutrality required for studio monitoring. 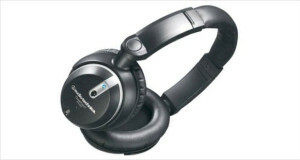 Coupled with a portable DAC, these headphones become magnificent circumaural headphones that have a magnificently deep soundstage and are extremely hardy.